Everyone loves brunch, right? And hosting a brunch gathering is even better. Everyone needs a good recipe to please a crowd, and this is especially easy when you have something that’s both simple and delicious. 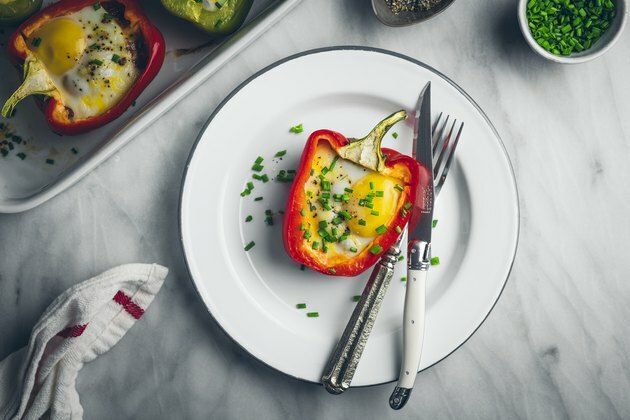 This recipe is exactly that—an egg baked to perfection in a bell pepper with chorizo and cheese. Not only is the vessel edible, which is great, but the flavors mix together very well and the overall dish makes for a beautiful presentation. Heat oven to 375° F. Cut each bell pepper in half from top to bottom. Hollow them out completely by removing seeds and stem. 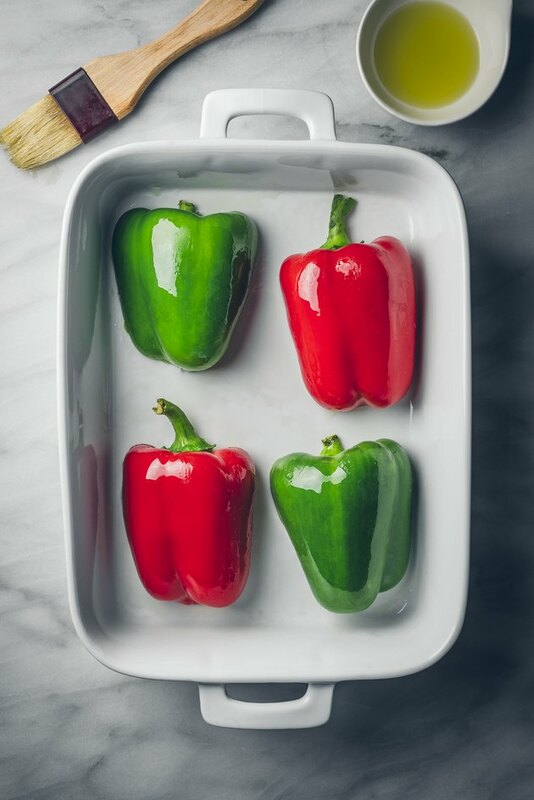 Place the bell peppers on a baking sheet, cut side down, and brush/rub with oil. Roast the bell peppers until slightly softened, about 15 minutes. To add even more flavor to this dish try using an infused oil, like one with garlic or basil, when brushing the bell peppers. Remove the bell peppers from the oven and flip them over. Fill each pepper with 1 1/2 to 2 tbs of cooked chorizo, and a light sprinkling of cheese. 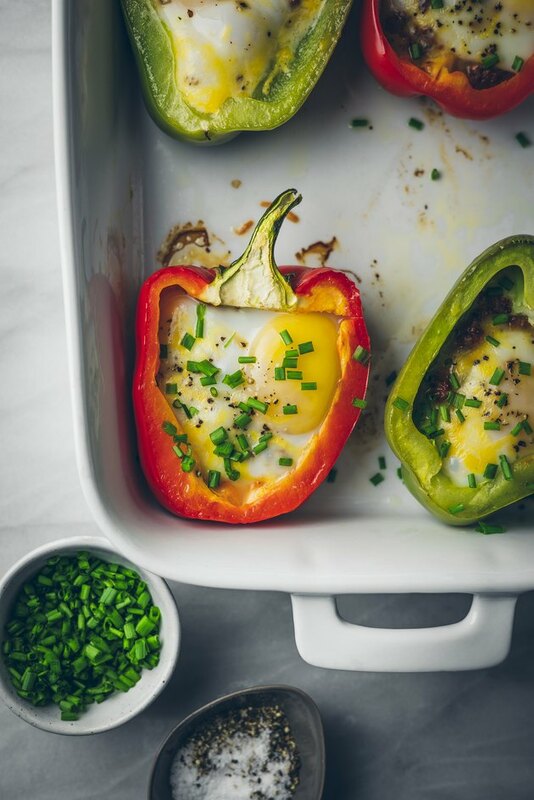 Press the filling down slightly and carefully add one large egg to each bell pepper. Then season with salt and pepper. Cover the baking dish with foil and place back in the oven for an additional 30 to 35 minutes, or until the egg whites are set and the yolk is still a bit runny. It helps to crack the egg into a small dish before adding it to the bell pepper. This will give you a little more control as opposed adding them straight from the shell. Once the peppers are cooked to your liking, remove from the oven, garnish with freshly chopped chives and enjoy right away!